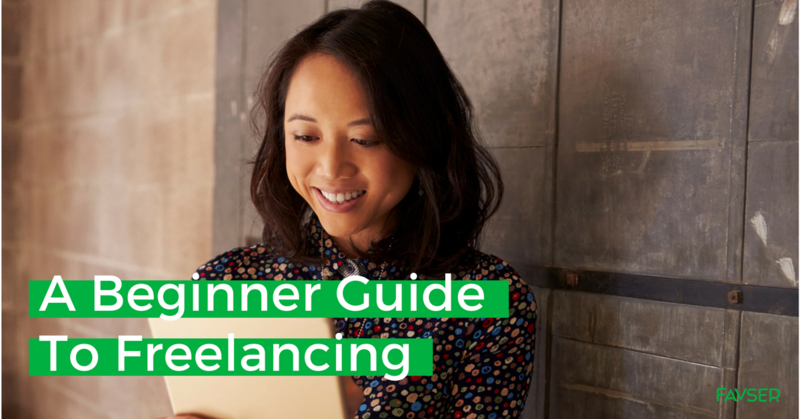 Beginner guide to freelancing in Malaysia - Freelancing is emerging as a popular career option internationally including Malaysia. Fun fact: a third of Malaysia’s workforce comprises of freelancers! According to EPF in August 2017, the freelance economy in Malaysia has grown by 31%. As Malaysia’s freelance economy continues to grow, Favser is proud to contribute to the gig economy by connecting Malaysia’s freelancers with businesses via its freelance portal. Interested to join Favser as a freelancer but do not know where to start? This guide is for you! As technology advances, the nature of work has also been transformed to include more flexible career options. Say goodbye to fixed schedules and permanent work locations-freelancing allows you to work anytime, anywhere. The only requirement is to deliver quality work on time as agreed with the client. In simple terms: client requests, you deliver. READ MORE: HOW TO BE A SUCCESSFUL FREELANCER IN 3 STEPS? Freelancers work in the comfort of their own homes, connecting with clients online or via calls. As a freelancer, you are considered to be self-employed. Similar to owning a business, you are responsible to source your own clients. Find clients or allow them to contact you through online freelance platforms, professional websites such as LinkedIn or your own website. Freelancers can choose to either work long-term for a company or accept multiple jobs from different companies. Before accepting jobs, freelancers will agree on a specific set of terms and conditions with the client before work commences. This is to ensure both sides agree on the details such as duration of delivery, rates, number of revisions and date of payment. Freelancers in this category are not bound to any employer. In other words, they are full-time freelancers, earning their income solely through freelance projects. Moonlighters are people with day jobs that are freelancing to supplement their main income. This category of freelancers has a mix of traditional and freelance jobs, earning income from multiple sources. Temporary workers are workers with temporary employment arrangements, whether it is with employers, clients or on a contract basis. Small business owners may consider themselves as freelancers with 1-5 employees working under them. Flexibility is hands-down the main perk of working as a freelancer. Enjoy the freedom of framing your work around family life and social commitments and the flexibility to create your own schedule. Choose when to work: Whether it is in the morning before sending the kids to school, at night after a day job or even in the wee hours of the morning, you have the freedom to choose when to put in those hours and complete your work. Choose where to work: Think of the traffic jams that you could avoid just by working at home! Occasionally, switch it up with a visit to your favourite coffee shop or explore a co-working space. You can even choose to be a digital nomad and work while travelling. As long as Internet connection is available, you can literally work anywhere. Tired of routine, monotonous work? A freelancer has the opportunity to accept different assignments from a wide range of industries. Besides that, once established, freelancers can work on projects of their choice. If you like to seek new challenges, being a freelancer is the perfect way to earn money while expanding your potential. Truth is, not many of us have the luxury to pursue our passion full-time. However, it is now possible to pursue it alongside our full-time jobs via freelancing. Who knows, it may just be the stepping stone to making it a full-time career! As the inspirational serial entrepreneur Gary Vaynerchuk puts it, “Everything that you love and you are good at, never give up”. Being a freelancer will allow you to pursue your passion, one small step at a time. Income inconsistency from freelancing may take a while to get used to, especially for those that are used to a monthly paycheck. The term “feast or famine cycle” is famous within the freelance world, reflecting a common scenario faced by freelancers. However, do not fret as there are plenty of tips online from experienced freelancers to overcome this cycle. Experience, effort and persistence are some of the main ingredients to freelance success! Flexibility is liberating. On the downside, it also means a lack of structure. It can be hard to focus on work as unexpected commitments disrupt your schedule. Discipline is required to keep things on track. Tip: remember to insert relaxation time into your schedule, or risk feeling burned-out. Working alone for long hours may lead to feelings of loneliness. Compared to a full-time job of socialising with colleagues, freelancing requires very little socialising. The good news is with the growth of co-working spaces around Klang Valley, freelancers can now socialise with each other, in addition to working in super cool office spaces! In light of its increasing popularity and acceptance, freelancing is worth considering as a viable career option. This guide will hopefully help you to make the right decision to determine if this is the right career option for you. Ready to make the leap? Join Favser today-it only takes a few minutes to complete your profile! This article is written by Woon Lee Lee, a registered freelance writer on Favser.com.